US Castings dedication to Value-Engineered principles, in conjunction with its Engineering Department and top-tiered suppliers, remains highly confident in its ability to deliver a superior product at a competitive price. The U.S. based sales and logistics team is dedicated to removing the stress that can often accompany the tribulations of dealing with 3rd party suppliers. 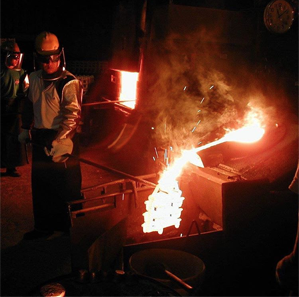 To demonstrate this commitment, a Zero-Risk policy has been implemented, which puts the ownership of Quality Assurance, Quality Control, and on-time delivery, on the shoulders of the US Castings’ Management Team. Customer will only be invoiced for tooling upon full approval of the sample run. Next, following approval of the samples, the production run takes place. Material from the production run is invoiced only after receipt and acceptance of goods at the customer’s location. Delaying payment until delivery is hardly risk free if a rejection delays the production schedule. US Castings will provide extra engineering and support at the front end of the process to ensure total customer satisfaction in the production phase. Cost savings: 20% or more off current domestic production charges. US Castings United States based sales, engineering and service teams, provides customers with the confidence of highly experienced domestic contacts responsible for the entire life-cycle of each and every order. This team provides the conduit to state-of-the-art design and engineering services and is responsible for quality assurance and management of customer orders. Customers are able to provide US Castings’ world-class customer service team with MRP/JIT schedules to ensure on-time delivery on a customized as-needed or pre-set monthly schedule based on production requirements. Blind shipments are also available for OEM dealers and suppliers.